ANY name can be done in NAMEinals! 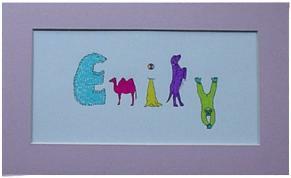 NAMEinals are whimsical, brightly colored, children's NAME pictures, made using an animal-shaped alphabet. If you are looking for a unique, personalized, gift idea, NAMEinals are the answer. 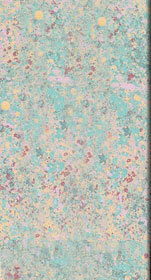 Christmas gifts, Birthday presents, or if you are simply redecorating, NAMEinals can compliment any child's room.